First, the reel is made from a durable outer casing. You can choose from different shapes, colors, sizes, and even customize them with your organization’s logo. The back side of the case will often have a clip to attach the reel to your clothing, and some reels even come attached to lanyards. Second, inside is an inner reel, which the cord is wrapped around. This keeps the cord from getting tangled, so you can quickly pull out and retract your badge. Finally the cord is attached to the strap or clip you connect to the ID card. 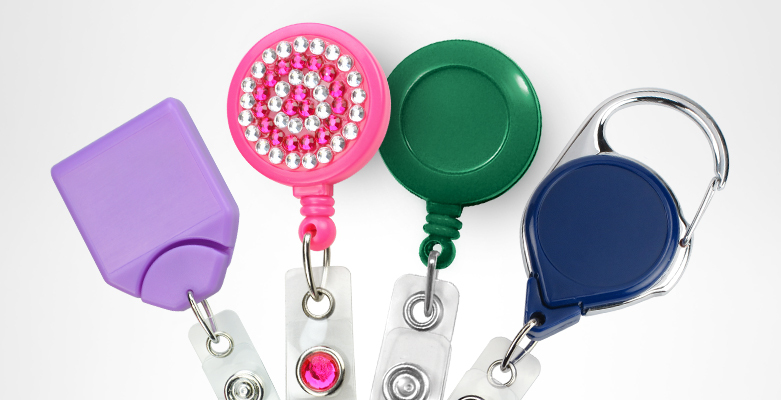 Whether you put the ID card in a holder or slot punch the card itself, this allows you to clip cards in and out. 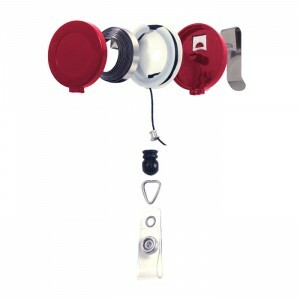 Shop all ID card badge reels.